After seeing real cows munching on green pastures yesterday, you know I had to come across a really fake cow today! After spotting several cows in the Playmobil catalog last week, today was Lego’s turn. My kids love Legos so I decided to borrow a few Lego storybooks from the library. 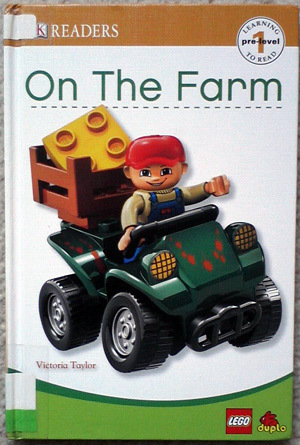 One of them is called “On the farm”. You see where this is going, right? Animals that live on the farm include pigs, chickens, horses, cats, dogs, and yes, cows. 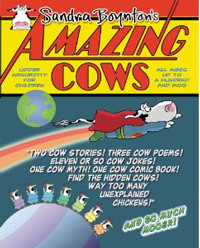 Now, here’s the most educational page about cows I’ve seen in a while. OK, I’ll give this book a break on the storyline. It’s an early reader book so its purpose is to make it easy for little kids to try reading. But let’s look at the cows for a minute. I’ll admit the black and white animal on the left page slightly resembles a cow because of its cow hide pattern. Now I’m not so sure about the brown cow on the right page. 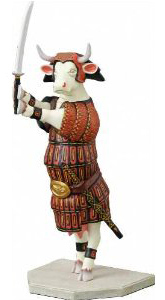 It does look funky but the book tells me it says moo, so it has to be a cow! 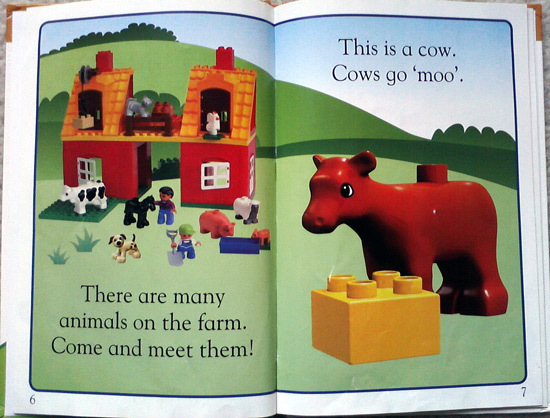 My apologies to the Lego creators and the people of Denmark, but I have to side with the German Playmobil cows. Previous Post I saw real cows today! Next Post They have cows at Panda Express, not just funny-looking pandas!